Bottom Line: A decadent, silky-smooth Cabernet Franc in a plush, elegant style. 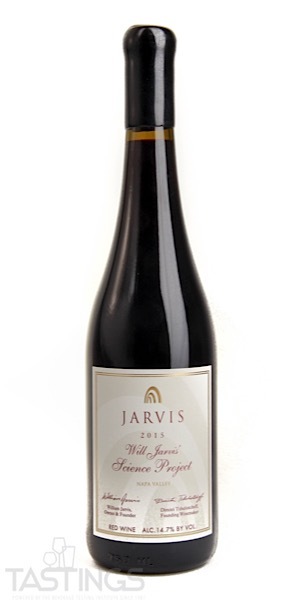 90 • Jarvis 2013 Estate Grown , Cabernet Franc, Napa Valley 14.1% (USA) $115.00. 96 • Jarvis 2008 Reserve , Cabernet Sauvignon, Napa Valley 14.7% (USA) $315.00. 96 • Jarvis 2015 Will Jarvis’ Science Project, Cabernet Franc, Napa Valley 14.7% (USA) $170.00. 95 • Jarvis 2014 Estate Grown, Cabernet Franc, Napa Valley 13.9% (USA) $125.00. 94 • Jarvis 2017 Estate Grown, Chardonnay, Napa Valley 14.6% (USA) $80.00. 93 • Jarvis 2017 Finch Hollow Vineyard, Chardonnay, Napa Valley 14.8% (USA) $145.00. 93 • Jarvis 2017 Finch Hollow Vineyard Unfiltered, Chardonnay, Napa Valley 14.8% (USA) $160.00. 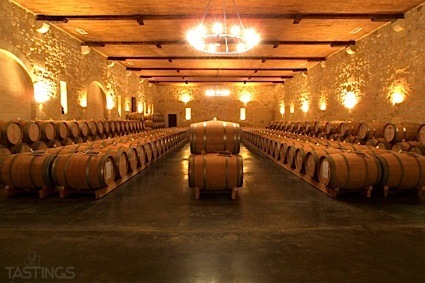 Jarvis 2015 Will Jarvis’ Science Project, Cabernet Franc, Napa Valley rating was calculated by tastings.com to be 96 points out of 100 on 3/27/2019. Please note that MSRP may have changed since the date of our review.